Among those to get in touch was Angela Carter who was keen to tell me about her mum, Doreen, who spent most of her childhood growing up beside the River Thames at various houses in Chertsey, Shepperton, Walton and Weybridge. 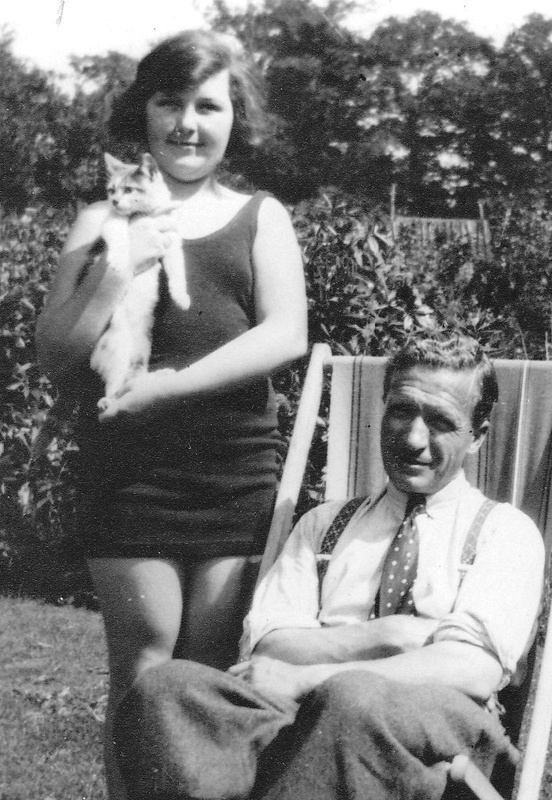 Angela tells me: “My mother’s maiden name was Doreen Love (when she married she became Carey) and she was born in 1920. As I reported last week, it’s obvious that many, many people were taught to swim by Steve Covey, the council employee responsible for manning the swimming post, and it’s lovely that so many of you still enjoy reminiscing about those days. Angela adds: “My mum loved the river and would quote from her favourite book – The Wind in the Willows – that ‘there is nothing – absolutely nothing – half so much worth doing as simply messing about in boats.’ “ To which all I can say is: hear, hear! Angela remembers that her mum also used to help out the locks on occasions helping to open and close the gates and sluices as boats passed through. 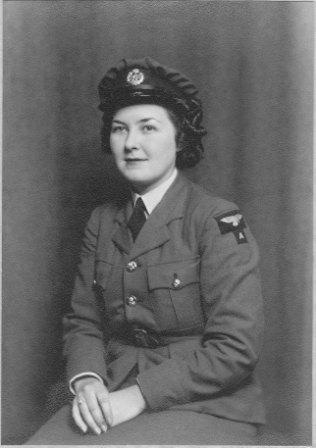 Angela says her parents lived in Weybridge and that during the war, her mum was an officer in the WAAFs. In later years, she was a familiar sight to people visiting Weybridge Museum where Doreen worked looking after the costume collection. Thanks for sharing those memories with us, Angela. TELL me, is it just me or are any other boat owners out there getting increasingly cross watching the Timothy Spall BBC TV series, which is following his escapades as he travels round the British coast in a Dutch barge? I love Tim Spall as an actor – I think he’s a fine exponent of the thespian art – but I think his coast-hopping exploits where he seems to revel in getting things wrong, messing up his navigation, misjudging tides and the like are just plain irresponsible. Taking to the water always holds a certain amount of danger and the prudent skipper takes every precaution he can to minimise the risks before setting out. That’s doubly true if you’re heading out to sea instead of just pottering about on canals or rivers. So watching Mr Spall and his quirky wife, Shane, apparently making light of, well frankly, making a complete mess of navigating an unsuitable boat around our coasts has had me shouting at the telly on more than one occasion.